built by Allengenski family in 1900 in Main Road, opposite Market Square. 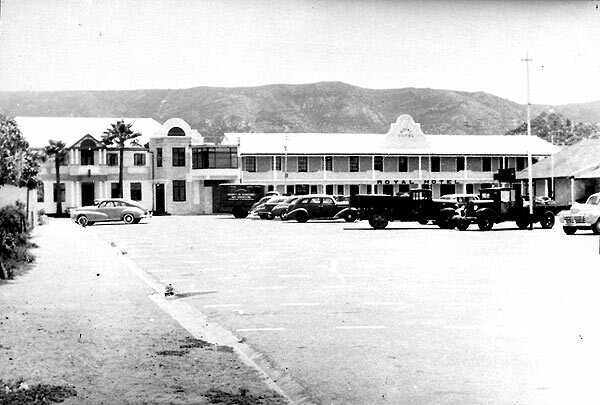 There were several owners over the years: the Silkes, Abrahams and others – The Royal was a happy meeting place of the fishermen and sportsmen, and hosted parties for various occasions. In the De Wets Huis Photographic Museum is a photo of a Jewish wedding that took place in 1904. The wedding guests and the bridal group were photographed in front of the Royal Hotel. This old landmark went up in flames in 1981. Kentucky Fried Chicken and the adjacent parking lot occupy those premises. 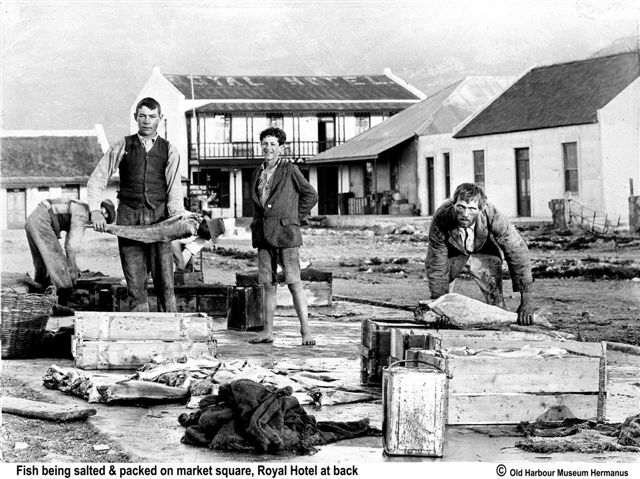 Fish Preparations on the old market square with the Royal Hotel in the back.